Back in January, I posted about our “Budget Mini-Makeover,” …but we didn’t stop there. 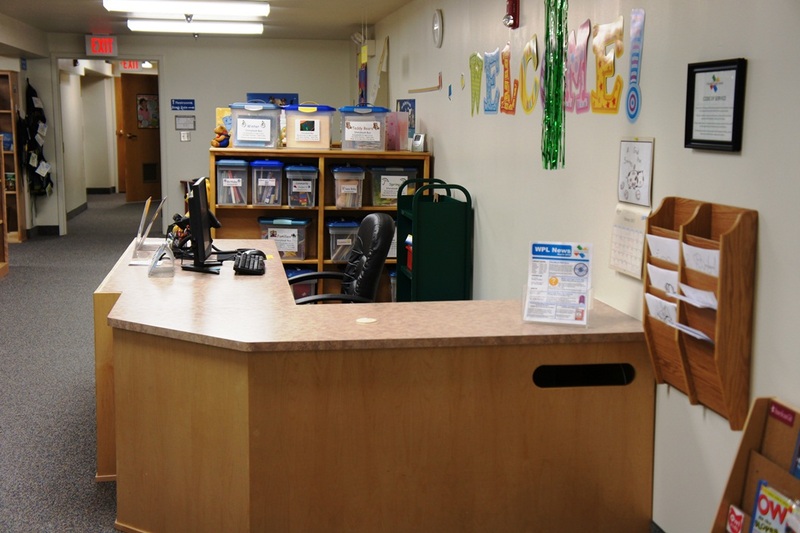 Now that the entrance is open, we realized that the children’s desk was very cluttered and it was difficult to see staff members when they were sitting at the desk. 1. We removed the catalog computer sitting on the counter and relocated it to another part of the children’s room. 2. Next, we removed the shelf from behind the desk. 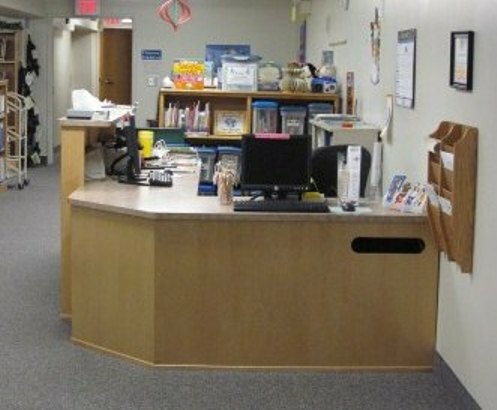 All of the clutter and papers were moved to files and drawers out of the patrons’ view. 3. (This was the biggest change) We cut the high counter off of the desk. 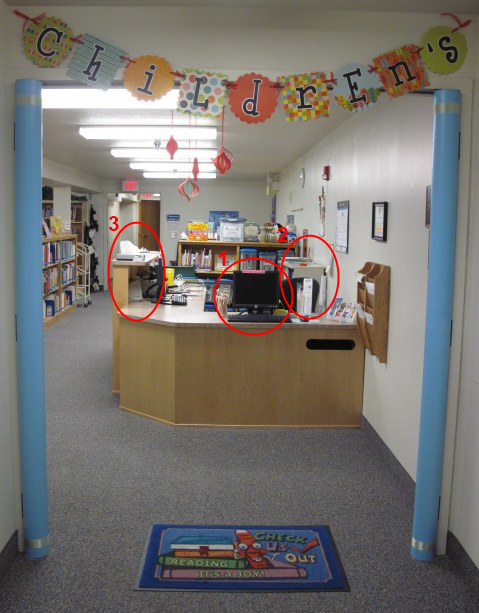 The counter blocked patrons’ view of staff AND blocked staffs’ view of the entire children’s room. Here’s what it looks like now…. With our new, colorful “Welcome” sign. Now the desk is just the right height for children! 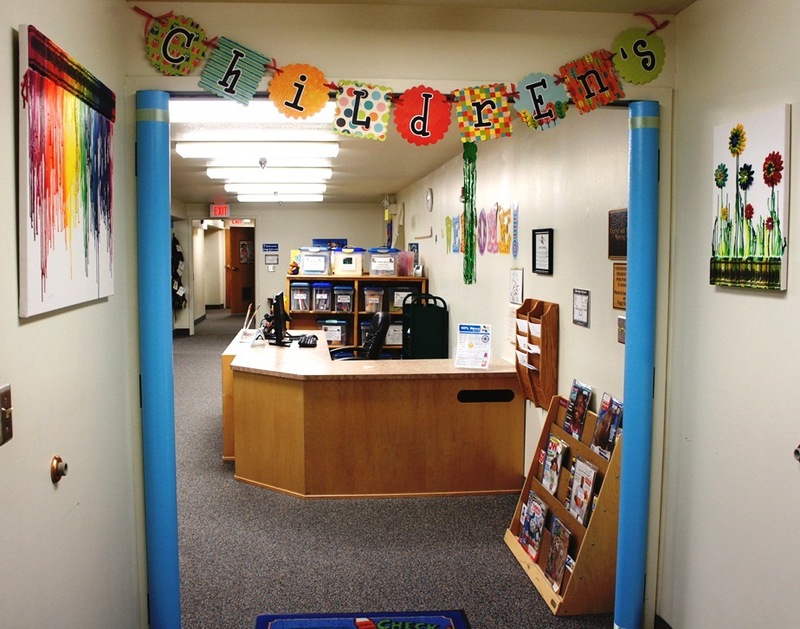 April 2, 2012 in Library Design & Displays. Thanks for sharing. Seems like we could do with a little de-cluttering too (maybe I’ll try to work on it while we’re quieter over the school vacation (we’re a high school library and public library combined). It’s amazing what a little de-cluttering can do. It makes things feel lighter! P.S. A high school AND public library combined? You have your hands full. Wow. This looks great! It’s amazing what a difference cutting down that shelf makes! I also LOVE your crayon art! Looks really nice! I am most interested in your bookmark holder that is shown on the last picture. Where did you get that? I also love the bright welcome letters! Great job! 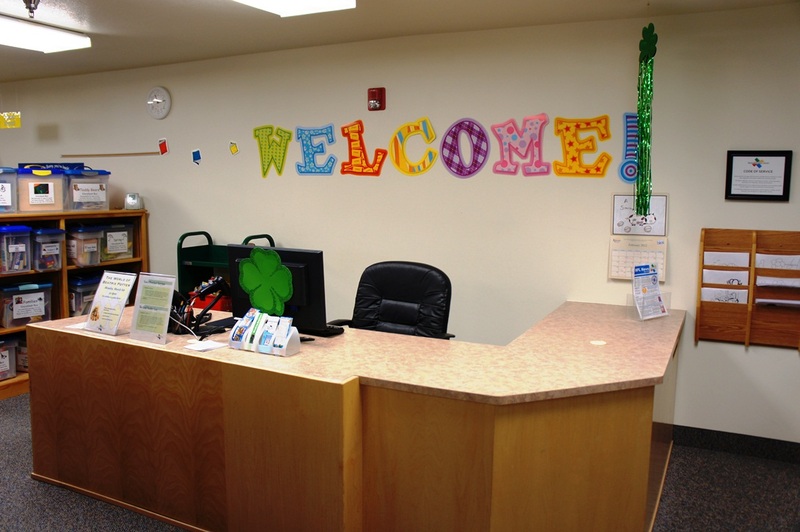 What a wonderful welcome sign – it really is very welcoming!